← Buffalo, New York. June 10th, 2011. Myers Park, North Carolina. June 10th, 2011. 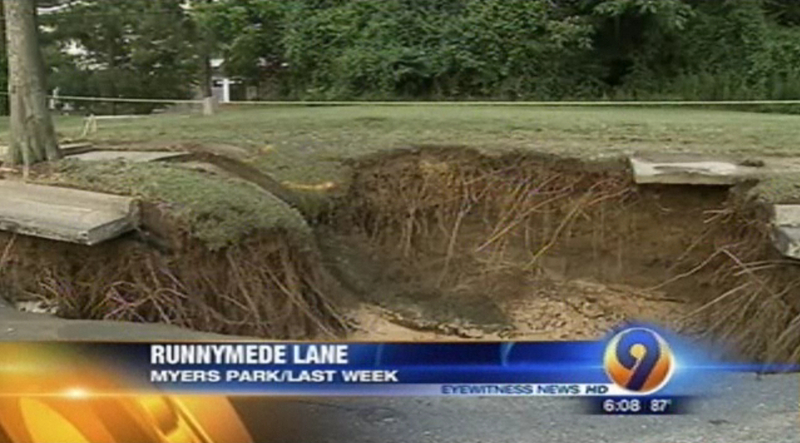 The sinkhole in Myers Park is still causing traffic problems as crews have not been able to fix the problem. Although conditions on Runnymede Lane near Selwyn Avenue have improved, traffic is still down to one lane for each direction of travel. 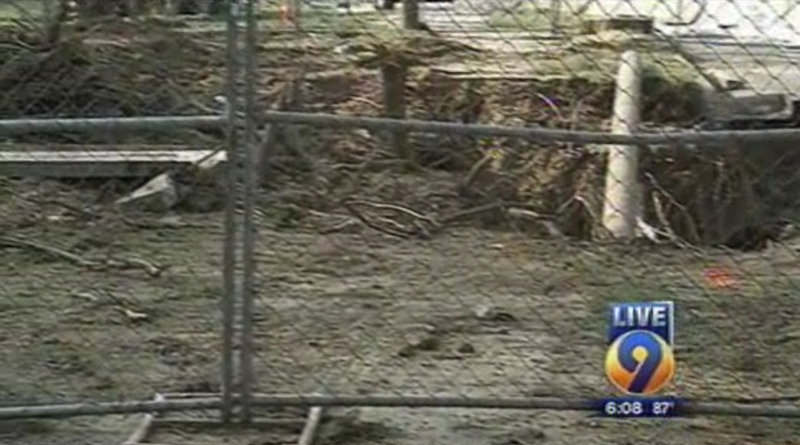 Workers say that there’s damage to underground fiber optic cables along with the storm water lines. 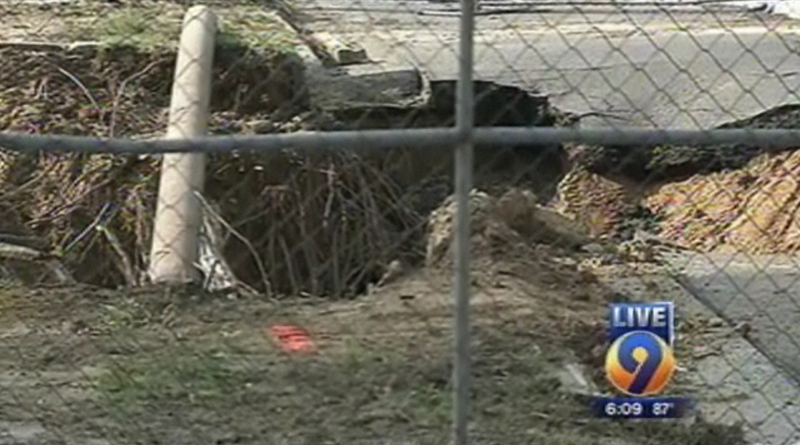 A broken water line on Tuesday caused the sinkhole that’s about 20 feet wide and at least 15 feet deep. 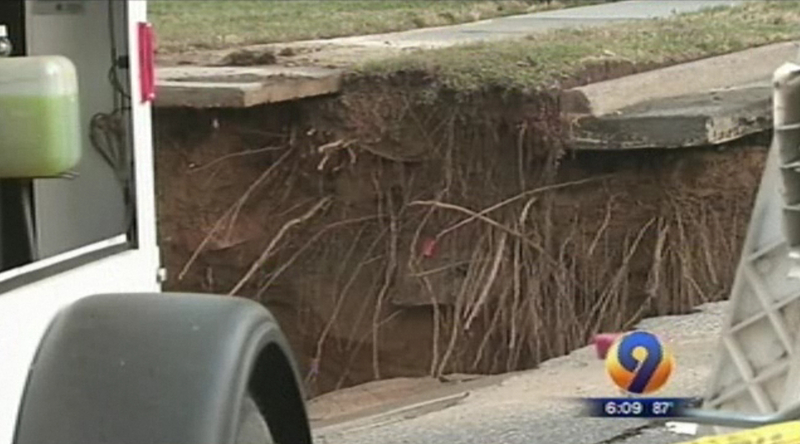 The City Council plans to discuss how much those repairs will cost on Monday night. 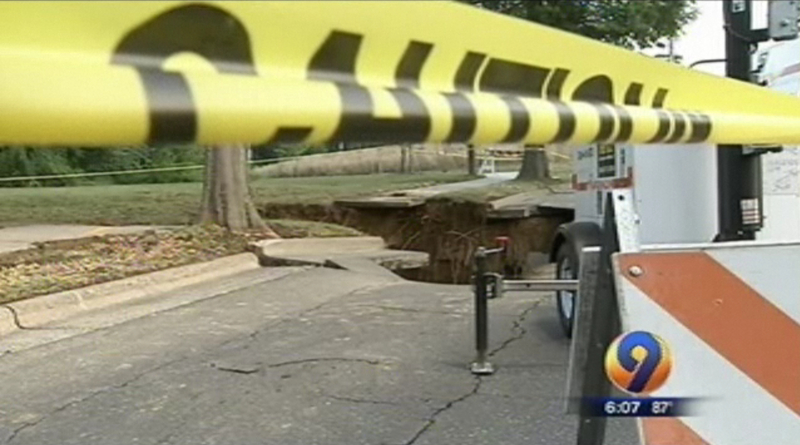 Crews are expected to still be working on the issue well into next week. 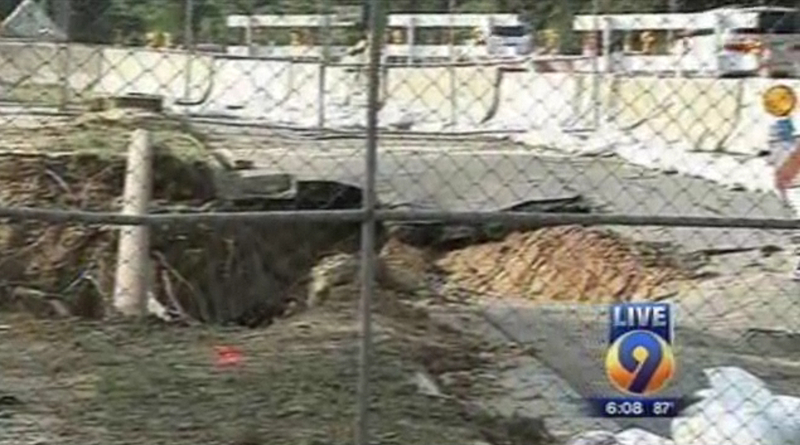 This entry was posted in Pictures and tagged Charlotte North Carolina, Charlotte sinkhole, huge sinkhole, Myers Park, North Carolina, sinkhole, water main. Bookmark the permalink.